And it shall henceforth be named 'PAL-entine's day'. When it comes to Valentine's Day, things can get awkward if you aren't already coupled up. Should you stay in or go out? If you stay in, there's the danger of feeling sorry for yourself (even if you shouldn't! at all! ), but if you go out are people might automatically assume you're on the prowl. It seems near impossible to pass the day without leaving some sort of impression. But there is a solution. You could take the day for what it really is and just celebrate love, with your loved ones, be it family, friends or even pets. 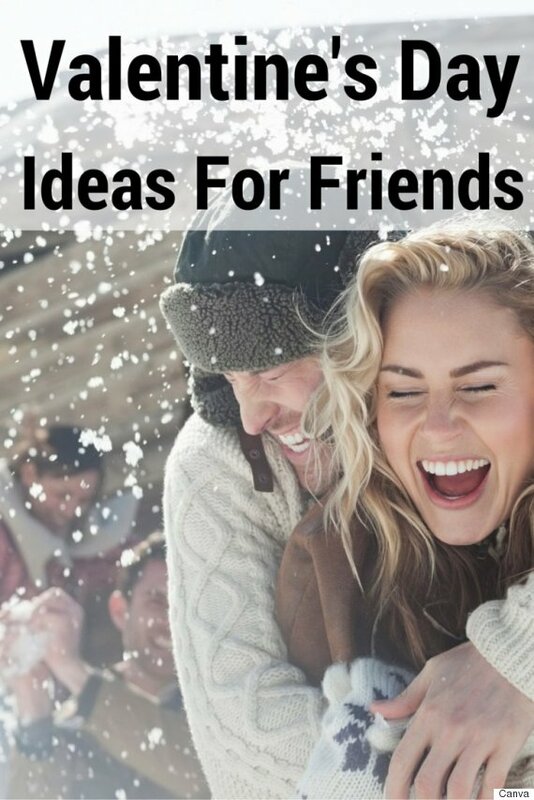 In the slideshow below, we've rounded up 14 Valentine's Day ideas that are perfect for groups. From watching sports to singing to spending the day at the spa, these ideas are perfect for both singles and couples looking to celebrate with a crowd.